Renting a storage unit may seem like a difficult process. You’re walking into a new world, filled with keys, locks, codes, and an endless line of metal garage doors. Fortunately, that (fair) perception couldn’t be further from the truth. In fact, renting a storage unit is easy - even the parts that seem like they could be complicated. We want to prove it. 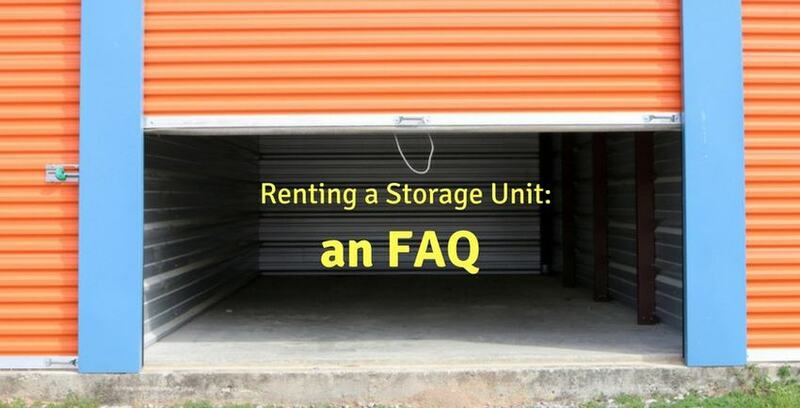 That’s why we’ve gathered the most frequently asked questions about renting a storage unit we could find, and answered them. How exactly does self-storage work? You rent a space from a facility. We give you your own code for the facility and a key for your unit. You are responsible for the good you store in the space we provide. You store them on your own terms and can access them whenever you choose to. What sort of security offerings should I be looking for? There are a lot of options. Particularly secure facilities use video surveillance, bright indoor lighting, heavy perimeter fencing, electronic gate access, and door alarms. You can find which facilities offer which amenities online. The best facilities are also staffed by experts who are willing to answer your questions about security and safety. More often than not, yes. In most cases, a storage unit and the possessions within will be covered under your existing homeowners’ insurance. Otherwise, some facilities offer individualized insurance programs you can sign up for when renting your unit. These programs will protect against the most common potential problems like natural disasters, vandalism, or forced theft. How do I know if the facility I'm using is a good one? There are a number of online review outlets you can reference to get a good idea. Try checking websites like Yelp, Angie's List, or Consumer Affairs. How do I determine what size storage unit I need? It depends. On average, a typical self-storage unit provider will have units in sizes ranging from 5' x 5' to 10' x 30'. For reference, a 5' x 5' unit is about the size of your average closet, capable of fitting around a dozen boxes. A 10' x 30' unit, on the other hand, is capable of fitting the entire contents of an average three bedroom home. If you have more questions about storage units, how they work, or how to rent one, give the experts at Storage Direct a call anytime.